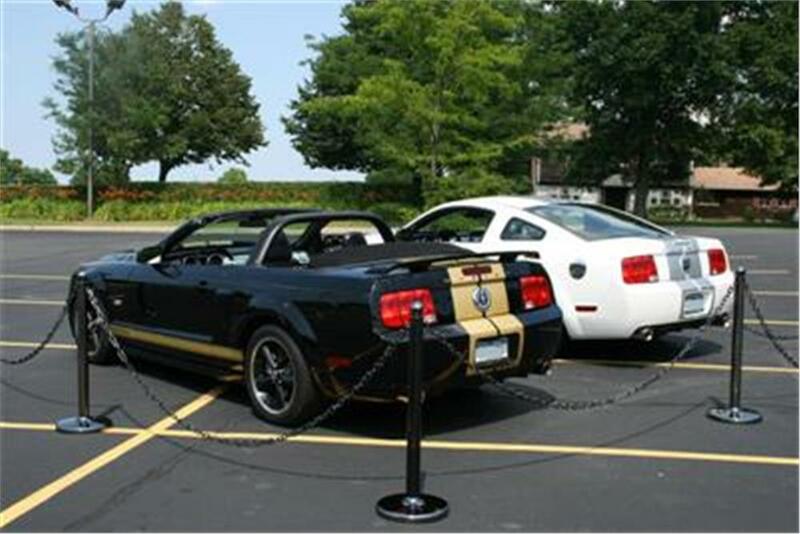 These stanchion kits provide a unique and economical alternative to heavy, expensive metal stanchions. Light weight, easy to move and handle, they feature the look of a metal post at a significantly lower cost, and the plastic finish will not damage the car if accidentally hit with the product. Made of Metal Plated High Density Polyethylene, UV treated to resist fading and guaranteed not to rust. Available in Chrome Plated or Black Chrome Plated finishes, in 4-pc and 6-pc styles; a 4-pc set of Metal Plated Stanchions with 40’ of matching 2” Heavy-Duty Chain or 6-set of 40” Metal Plated Stanchions with 60’ if matching 2” Heavy-Duty Chain. Stanchions measure 14”base, 2.5” diameter pole, and 40” overall height. The base can be filled with 4-lbs of sand for added stability. Made in the USA.